"'Whoa, this is really weird." — Hillary Clinton and lots of us. 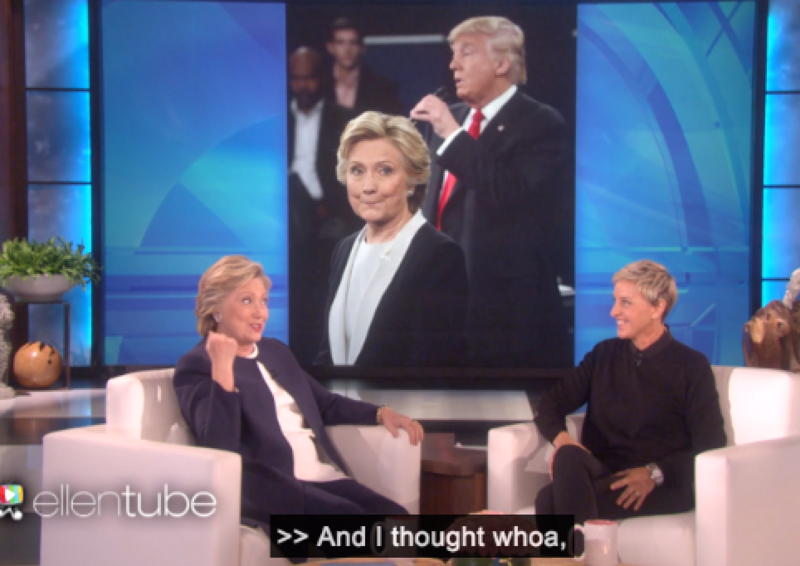 Yup, I'm talking about Donald Trump's hovering around her onstage. It just really creeped so many people out. 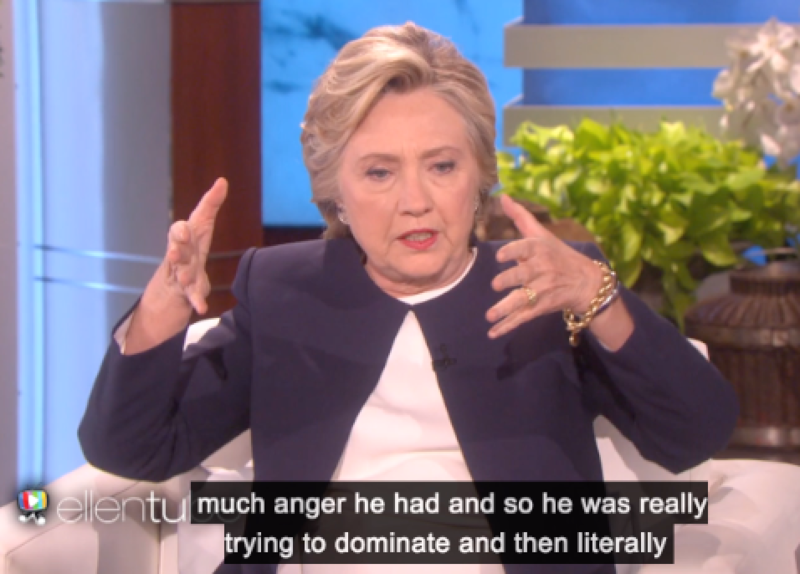 Clinton told Ellen that Trump was trying "to dominate the space," adding that she could feel just how angry he was because of the leaked Access Hollywood tape. "He was really all wrought up and you can just sense how much anger he had, and so he was really trying to dominate and then literally..."
"...stalk me around the stage, and I would just feel this presence behind me." 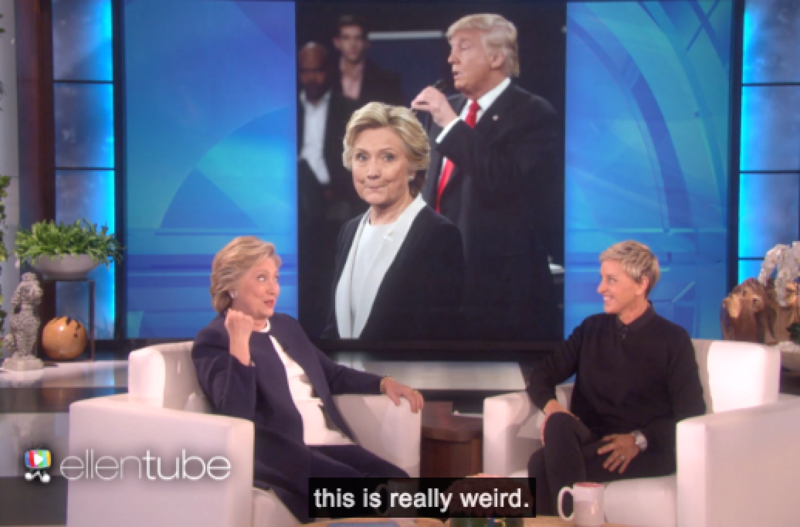 "And I thought, Whoa, this is really weird." 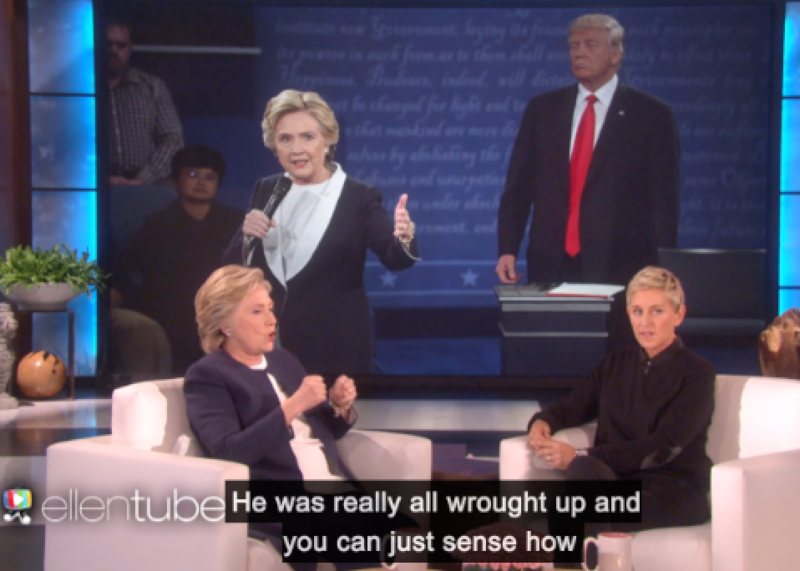 Clinton explained that despite the oddity of the situation, she just tried to maintain her composure. Shimmying it off probably helps too, though.